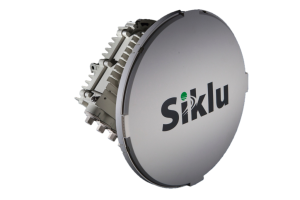 With the introduction of MultiHaul™ series of products, Siklu brings to the point to multipoint market the same expertise and technological innovation that have made us a leader in point to point E band/V band market. MultiHaul™ products operate in the widely available and license exempt 60GHz V Band and deliver multi Gigabit throughputs. In addition to the industry leading 400 metres range in PtMP configuration, the MultiHaul™ series also delivers advanced beam-forming. Thus eliminating completely the between the Base Unit and the Terminal Unit. 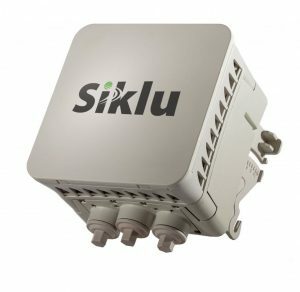 This plug and play installation coupled with Siklu’s zero-touch configuration approach means MultiHaul™ networks can be deployed rapidly and cost effectively by a single person. 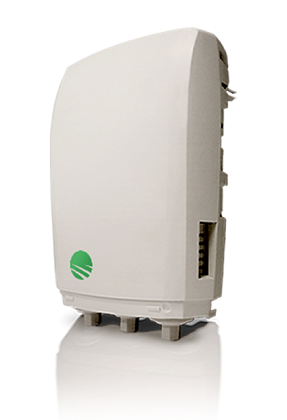 → Point-to-multipoint 2.3Gbps over the air capacity (1.8Gbps net throughput) to rooftops or street fixtures. → Up to 350m auto-aligned range thanks to Siklu’s proprietary cutting-edge antenna technology. → The system includes a Base Unit (BU) with 3 ports and up to 8 Terminal Units (TU) with 1 or 3 ports. → Beamforming antenna enables auto-alignment making installation a lightning quick one-person job. 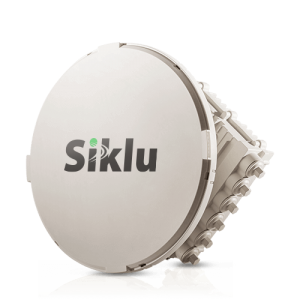 The Siklu EtherHaul-600, the world’s smallest backhaul radio, delivers Gigabit capacity and interference-free operation in highly density networks with unbeatable 74-year MTBF. Purposely designed for street level deployments and short haul deployments, the EtherHaul-600 has a ground breaking antenna design that copes with pole sway, twist & tilt. → The world’s smallest backhaul radio. Size: (H x W x D): 5.9” x 6.1” x 3.54”, 15cm x 15.5cm x 9cm. → Interference free 59-63 GHz unlicensed band. → Copes with pole sway, twist and tilt so your users enjoy consistently high performance. → All-outdoor unit with built-in Gigabit switch and extra ports, so you can deploy in cascade, ring or any high resilience topology your network requires, all standards-based. The Siklu Etherhaul 2200 series supports speeds up to 2Gbps full-duplex capacity for ultra-high capacity, utilising the E-band (70/80GHz) frequency range. The EH-5500FD provides 5Gbps full duplex layer 1 connectivity with a very low delay, providing highest performance fiber extension, replacement and backup over wireless. The combination of high performance and low latency make it perfect for the most demanding connectivity applications. → Robust performance, full-duplex 5Gbps capacity achieved at only 32 QAM modulation. → Hitless adaptive bandwidth coding and modulation ensures reliable performance under any weather condition. → Fiber-like layer 1 connectivity transparently transports any protocol. → Two-step capacity licenses for scalable and competitive rollouts and expansions.